Are you trying to build your brand but struggling to get spotted above the noise of your more established competitors? It’s a problem, isn’t it? Developing authority on the web is essential for success, but how you go about it can spell the difference between victory and consignment to the infinite pit of internet abyss – like a bargain bucket of websites that not even the tumble-weeds stop to glance at. Building visibility for your website is undeniably challenging. And link-building is one of the practices that many have used to raise their brand profile. For there are a plethora of traps in waiting; ready to thwart our efforts. We’re going to explore the six biggest mistakes that can destroy your link-building endeavours. Well, this isn’t really sweeping; it’s more taking a good, hard, long look at yourself (your website). 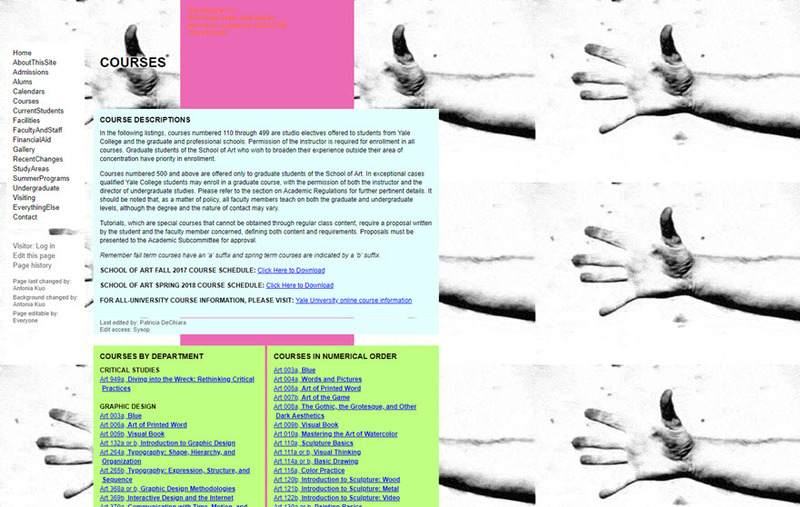 Retro is cool, of course – but if your website looks like it was designed in the 1990s by a color-blind Gilbert & George fanatic, you’re stumped at the first hurdle. But think about it: whatever efforts you make to gain favor with high authority sites, the first thing they’re going to see when they follow up your introduction email is your clunky, old website. And just think what your customers will think when they see your cluttered homepage and revolting color scheme! Your site could have the most valuable and insightful content, primed to add genuine benefit to guest blog sites, but if your aesthetic looks like an early iteration of eBay, you’re unlikely to get anywhere. It might seem shallow, but when they receive forty-plus proposals a day for guest postings, your website is your calling card. 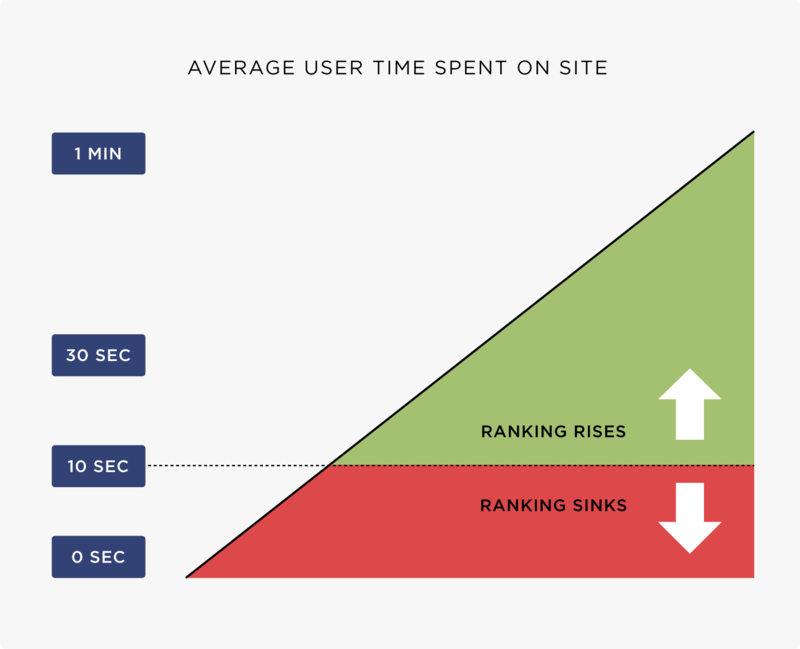 So, if you want higher rankings and keep people on your site, you need to get your website looking as good as it possibly can. And be proud of your calling card; fixed in the knowledge that it will serve you well in your link-building efforts. If you’re hoping to get picked up by big websites that deal with bloggers every day of their working lives, make sure that you have a repertoire before you contact them. The first thing they’ll do is look at your blog to determine the quality of your content. But if your blog is less populated than Buford, Wyoming post-zombie apocalypse, your efforts to get spotted will go wasted. Your existing blog offering should contain a combination of short- and long-form pieces, filled to the brim with value. Nobody keyword stuffs anymore – they want content that will hold the attention of an audience, and offer them genuine value. Recognize that you’re not just writing a title that you’ve researched for high volume. Then they’re not going to stick around for the duration. And they’re absolutely not going to trust you to write them some decent copy. Just having a blog isn’t enough. Having a quality blog with an authoritative voice, discussing subjects relevant to your website’s purpose. Make yourself an authority – even if you currently only have five readers (and two of those are your parents). If you’re not a great wordsmith, but you’re hoping to build your traffic by link-building through blogging, hire a copywriter. There are tons of copywriters out there, available through platforms such as Upwork. Go through your existing blog content and delete anything that isn’t consistent with your mission. If you’re struggling for ways of broadening your existing network or your blog content, consider engaging with recognised experts or influencers. Influencer marketing is a great way to broaden your traffic network. Email service provider, Get Response, hired well-known influencers to create a series of guest blogs on their behalf. Of course, they recognised that relevancy was key, here – there’s no point in using a famous face just because they’re a famous face. It was all about adding value. The influencers created a portfolio of quality content that Get Response could then tout to high-profile blog sites, embedding backlinks into the copy so that visitors would visit their site and learn about their service. As a result of the project, Get Response’s social followings increased into the millions. all driving the association of quality towards Get Response. When you’re pitching a guest blog to an authority website, don’t just take a look at their blog and give them more of the same. Give them something they haven’t already got. Which, of course, doesn’t mean suggest a blog about infographic design if they focus only on web design. Send them a pitch for infographic design if their other blog content focuses on content marketing (and they don’t already have an article about this topic). Explore angles that are directly relevant to your proposed site but haven’t already been covered. It’s wasted effort if you’re approaching sites with suggestions for content they already have. Create content that’s surprising and trending. It can be tempting to grab as many backlink locations as possible, but actually achieving them is a bad link building practice and it could be your downfall. Receiving a sudden influx of backlinks could trigger a link velocity penalty. Link velocity is the rate at which new backlinks appear for your site around the web, and Google is on the lookout for suspicious growth (get yourself to the doctors!). And the relevance of your backlinks counts as well. Google’s Penguin algorithm was developed specifically to identify bad backlinks. Link velocity – small sites suddenly receiving high volumes of backlinks will be identified. Space out your campaign. Link diversity – make sure that your links are from relevant sources. Links that all appear, for example, from comments in discussion forums look suspicious. Aim for links from a variety of sources – contextual, blog comments, and forums. Anchor text is important. But using anchor text that is plainly stuffed with keywords could likely work against you. Google considers overly-optimized anchor text a “black hat” SEO approach, and are likely to penalize you for it. Inbound links that point towards your site should use a variety of anchor texts, naturally embedded into the content of your blog piece to avoid suspicion. If you want to beat the algorithms, you’ll have to tread lightly and plan your strategy for link-building so that links – both to and from your content – appear natural. Getting penalized by a search engine for over-optimized back-linking could decimate your traffic by as much as 90%. 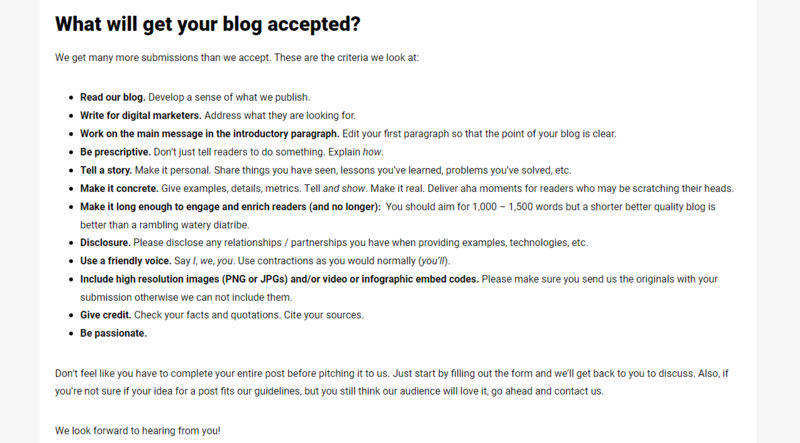 Mistake #6 Failing to adhere to guest blogging guidelines. Most authority sites will have a clear policy for guest bloggers – and creating content that breaks their guidelines is an immediate waste of your time and effort. Sites often provide clear guidelines for the type of content they’re likely to approve. They may describe their audience, their marketing strategies, and the rules about how you can mention your own website. They’ll provide advice on the tone that they look for in their content, the ideal word count for their audience, and what type of images they require (if any). 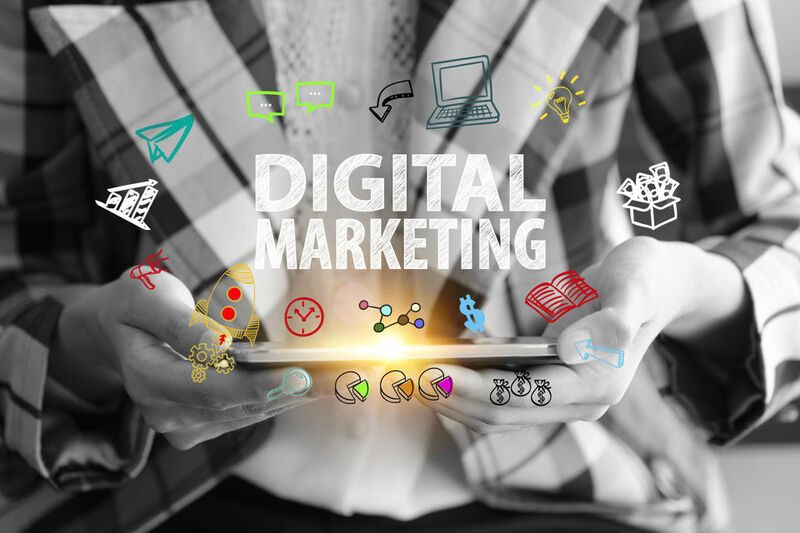 These guidelines offer valuable information that you can directly use; ensuring that any link-building content you create hits their brief so that your brand gains visibility with their audience. Examine their guidelines and follow their advice. Link-building is hard work and can take time, but it can genuinely improve your chances of significantly increasing your traffic. But avoid short-cuts that are likely to be picked up by algorithms that are increasingly ahead of the game. Focusing your time on effective and organic link-building is much more likely to help you grow your site authority over time.